This is an unpublished work, written by Dr. P.N.Ravindran and assisted by C.G.Syama. 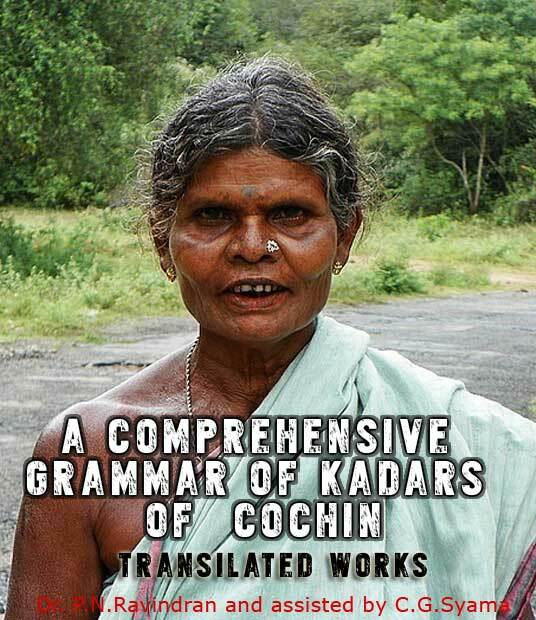 This is a transilation of the work “A comprehension grammar of Kadars of Cohin”. The main concepts included in this work are phonology, noun, verbs. The work also gives a reference to the technical terminologies used in the book.